Well-positioned in Hin Poo Bay, Phutawan Bamboo Resort is the ideal point of departure for your excursions in Koh Phi Phi (Krabi). From here, guests can enjoy easy access to all that the lively city has to offer. Also within easy reach are Ton sai Shopping Area, Ton sai Bay, Phi Phi Hospital. Phutawan Bamboo Resort offers impeccable service and all the essential amenities to invigorate travelers. While lodging at this wonderful property, guests can enjoy car park, laundry service/dry cleaning, smoking area. 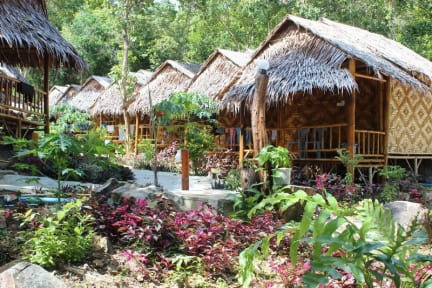 Phutawan Bamboo Resort is located on Hin Poo Bay Near Loh Dalum Bay, Walking about 15 Minutes from phi phi main pier.